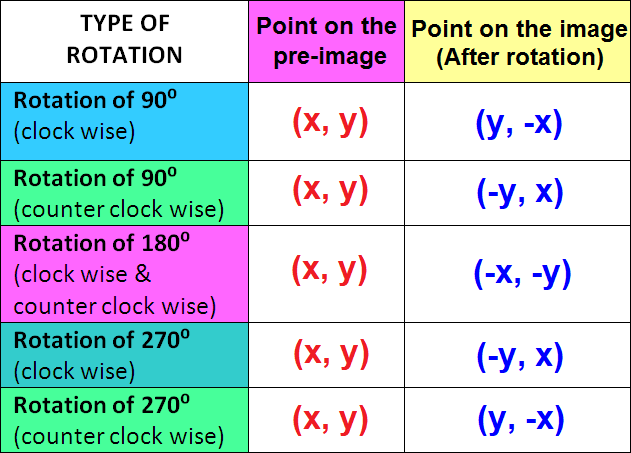 To rotate a figure in the coordinate plane, rotate each of its vertices. Then connect the vertices to form the image. The triangle XYZ has the following vertices X(0, 0), Y(2, 0) and Z(2, 4). Rotate the triangle XYZ 90° counterclockwise about the origin. Trace triangle XYZ and the x- and y-axes onto a piece of paper. 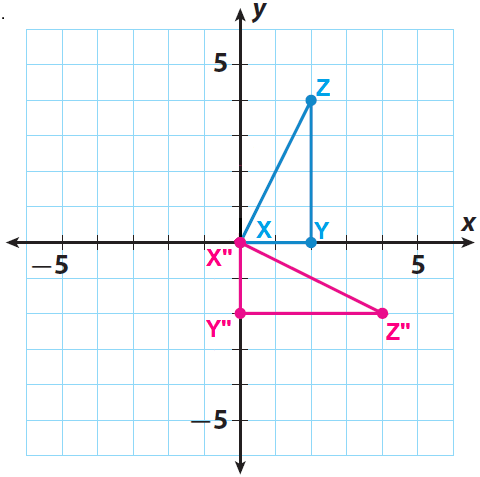 Let X', Y' and Z' be the vertices of the rotated figure. Sketch the image X'Y'Z' using the points X'(0, 0), Y'(0, 2) and Z'(-4, 2). The triangle PQR has the following vertices P(0, 0), Q(-2, 3) and R(2,3). Rotate the triangle PQR 90° clockwise about the origin. Trace triangle PQR and the x- and y-axes onto a piece of paper. 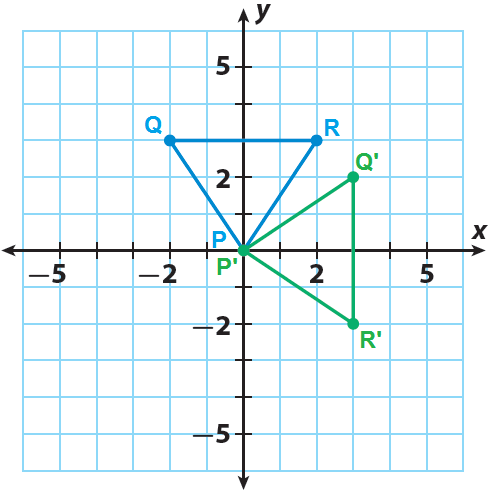 Let P', Q' and R' be the vertices of the rotated figure. Sketch the image P'Q'R' using the points P'(0, 0), Q'(3, 2) and Z'(3, -2). A quadrilateral has the following vertices A(0, 0), B(1, 2), C(4, 2) and D(3, 0). Rotate the quadrilateral 180° clockwise about the origin. 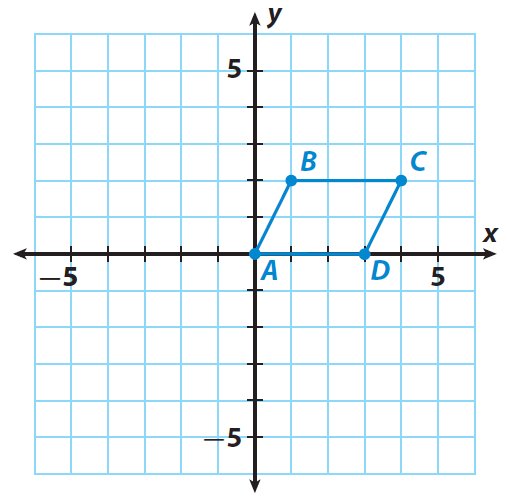 Trace the quadrilateral ABCD and the x- and y-axes onto a piece of paper. 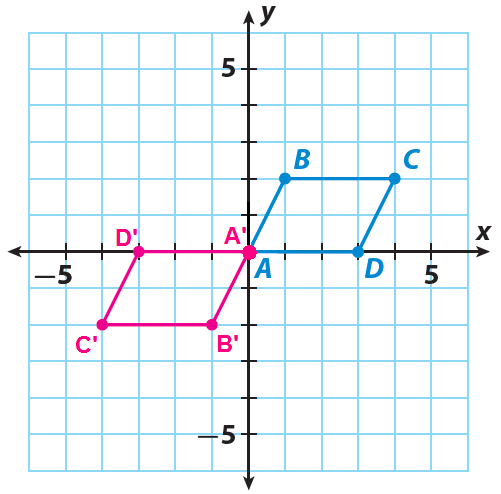 Let A', B', C' and D' be the vertices of the rotated figure. Sketch the image A'B'C'D' using the points A'(0, 0), B'(-1, -2), C(-4, -2) and D'(-3, 0). 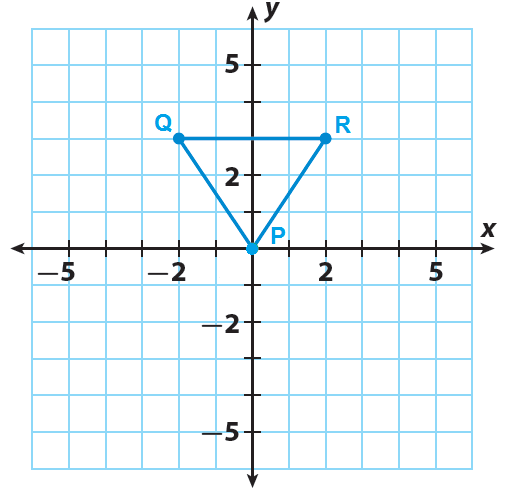 The triangle XYZ has the following vertices X(0, 0), Y(2, 0) and Z(2, 4). Rotate the triangle XYZ 270° counterclockwise about the origin. 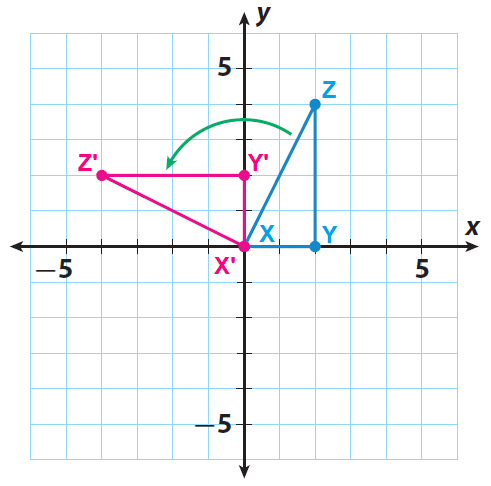 Let X", Y" and Z" be the vertices of the rotated figure. 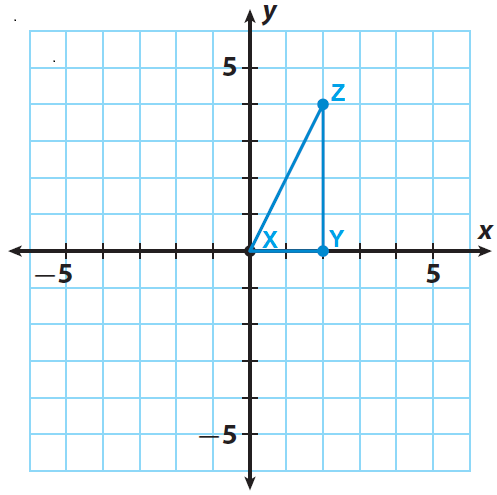 Sketch the image X"Y"Z" using the points X"(0, 0), Y"(0, -2) and Z"(4, -2). After having gone through the stuff given above, we hope that the students would have understood "Graphing rotations".